I am constantly enamored by the growing number of social media updates and posts detailing tiny house builds gone wrong. Just this morning I read about a builder who used the wrong material for the floor joists and cross bracing of a tiny house shell. In this world of lightning fast media an accusation against someone can quickly turn into a viral epidemic. A company can go out of business just because one customer decides to tell their side of the story on a public forum. This is a dangerous, dangerous, time for customers and businesses and puts even more at stake when choosing a tiny house builder. First things first. Tiny houses are not just miniature McMansions. They are not scaled down versions of a more traditional build where 16″OC framing becomes 8″OC and rise and run become some sort of made-up slope. Likewise they are not sheds, dog houses on steroids, barns, or any other sort of outbuilding. If anything they are very specialized versions of houses that need to be handled as such and need to be attended to by someone with proven tiny house experience which, by the way, is not gained by building one tiny house that was in a parade or now sits in a field, yet has never had life inside it or ever even had electricity. That is called a science project! Just because a contractor touts over 20+ years in the construction industry it is important to remember that even a graduating class of doctors-in-residence had someone with the lowest evaluations and grades. Not everyone is valedictorian! For a couple of years now there have been horror stories circulating of people pouring their life savings into a tiny house only to be swindled out of everything or to get back something that looks like a Home Depot shed on a Tractor Supply utility trailer. And on the flipside of the coin the last few years have brought about the unruly customer who in one quick status update (usually replicated across the tiny house forums) accuses an otherwise reputable tiny house company of somehow swindling them, doing a poor job, or otherwise fouling up. That is why there needs to be a fair amount of research done before choosing a tiny house builder. No one wants a faulty electrical system, loose pipes, wrong insulation for their region, or – from the business perspective – false allegations being thrown about the world wide whopper. Before truly getting into the meat and potatoes of choosing a tiny house builder it may be just as important to talk about how to conduct your affairs should you choose the wrong builder. 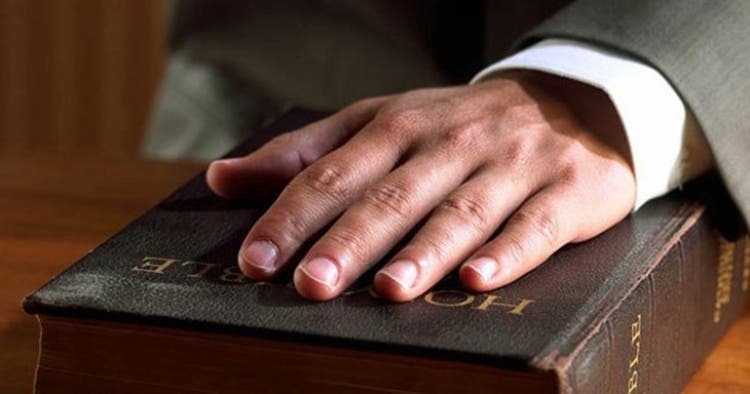 If you have become victim of an improper builder or build and you choose to disclose the story or share it on social media or the Internet in general, state the truth, the whole truth, and nothing but the truth. Don’t tell just your side of the story. The damage you do to the builder may far outweigh the damage you think has been done to your house. Rather, take the issue directly to the builder and speak to him in the presence of a witness or even with an attorney. Making up bits of a story and/or telling little white ones may actually end up discrediting you on a number of levels. There are two sides (at least) to every story. Should you choose to share your testimony be sure to allow room for the other party to share their side of the story. Don’t start out by tilting the arms of Lady Justice in your favor. Everyone deserves the right to speak their case without an immediate guilt conviction. This doesn’t touch on how small the tiny house world is either. If you are known for tilting the tables, making false accusations, or telling half-stories, you may find it increasingly difficult to find a builder willing to work with you! With over 1.23 billion monthly active users, Facebook is arguably the town center for global conversation. That does not mean that all dirty laundry must be aired there. Sometimes it is best to handle situations off-line and leave the group consensus out of the equation. Be fair to the situation. If your Facebook network didn’t choose the builder you are having problems with, they shouldn’t have a say in the way you handle the situation or the public shaming of said builder. Try a little role reversal and see how you would feel being on the receiving end. Customers reviews are often a beautiful thing. They can be accurate, transparent, and honest, capitulations. However, if someone outside of a niche group is looking in and making un-researched assessments, they probably aren’t the best judge of good -vs- bad. For instance, if a person regularly walks by an auto dealership on their way to the store, they may not be the best person to ask for advice when purchasing your new car. They have nothing at stake. They aren’t forking over any money. They won’t have to handle any situations gone wrong. They are simply stating their unfettered commentary. If you want tiny house advice contact someone you trust that has a history within the tiny house world. There is much to be said for a face-to-face meeting or a firm handshake. Beyond that though a meeting provides an appropriate opportunity for questions to be asked and answered, stipulations to be reviewed, prices to be negotiated, quotes to be signed, and general comfort levels to be established. If your potential contractor can’t answer the questions you ask, can’t provide testimonials from previous clients, or can’t show any of his finished work, chances are the meeting has shown you you need to keep looking! There are more tips to share and probably more to be heard. 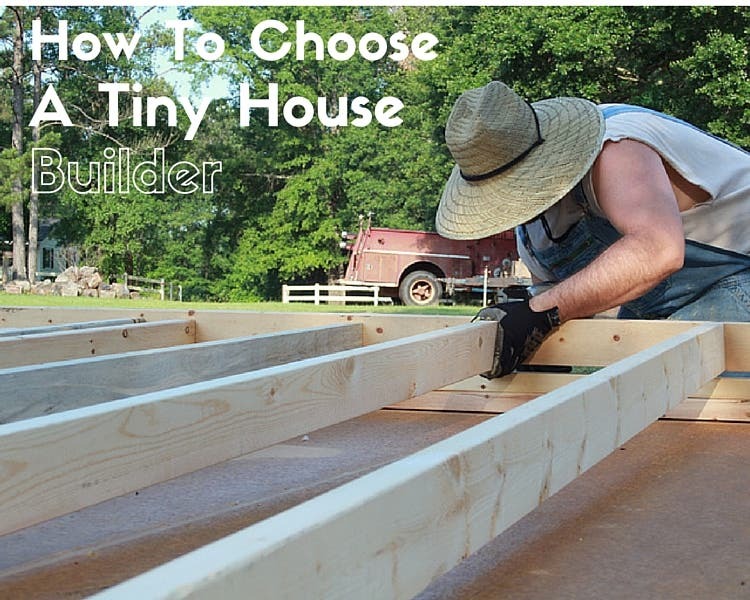 Visit Tiny House Blog next week for the continuation of this post including 5 more tips to Choosing A Tiny House Builder. In the meantime, what are some of your methods for choosing a builder?